The news is filled with UAVs. Most likely you’re heard the news about how the military has been using UAVs to monitor the enemy on the combat field. They’ve been used in combat missions in Iraq and Syria, and their commercial purposes are being explored as well. You’ll be hearing more about UAVs as the military develops new technology. With new technology, UAV Drone, this opens the door for some cool new toys as well. The acronym UAV means “Unmanned Aerial Vehicle”, and is more commonly known as a flying drone. Both terms are interchangeable. This is a smaller version of commercial aircraft, and is unmanned, or does not contain a pilot, crew, or passengers. Sizes can range from a fully sized aircraft, down to a micro scaled toy model. What Is Unmanned Aerial Vehicle? UAVs aren’t necessarily toys, however, they are often used by the military, and for commercial purposes. A UAV drone usually does not carry a missile; Its purposes are solely for entertainment or surveillance or reconnaissance missions. UAVs that are manned with missiles are more commonly called cruise missiles. Flying drones may be simply for flying pleasure, or they can be equipped with cameras that can snap photographs, provide surveillance, and film video. As more people fly their drones in fields and parks, government officials have realized that we’re going to need stricter rules governing the flying of drones around public regions, and above people’s personal property. The International Civil Aviation Organization (ICAO) currently classifies UAVs into two different categories: autonomous, and remotely piloted aircraft. Autonomous can fly by itself, between the take off and landing points. It’s equipped with sensors so it can avoid obstacles. Remotely piloted aircraft is controlled by a pilot on the ground. Remotely piloted aircrafts are more commonly used for pleasure, commercial or military purposes. However, autonomously operated UAVs are becoming more common. Cruise missiles are used in combat, and Amazon is developing an autonomous package delivery system. In the USA and Canada it’s illegal to fly a UAV near an airport, whether municipal, international, or military. In Canada, flying drones in National Parks is banned. Both countries have been working on new regulations to tackle privacy and safety complaints. How do UAV Drones Fly? Unlike toy aircraft which only work with “elbow grease”, a UAV drone can take off, fly through the air, accomplish a variety of maneuvers, and land back down on the ground again. This is done through a pilot standing on the ground, the UAV (the receiver), and a radio controller unit that the pilot operates. The UAV uses aerodynamic forces to provide aircraft lift, much like a real aircraft does. It contains a small engine, and a propeller or rotating blades and wings, which lift it up and through the air. The UAV is quite light, and is powered by a rechargeable battery pack. Most toy UAVs don’t fly for longer than ten to twenty minutes in the air, but as technology expands, flying drones should be able to fly for longer lengths of time in the future. The pilot uses the radio controller to guide the plane through the air, and also to perform a variety of stunt moves such as flips, and rolls. Flying drones have complex UAV navigation that allows you to press a button to return them back home. Many flying drones don’t come with an actual radio controller in the box anymore. These have been replaced with smart phone applications, that offer the same functionality to control your UAV. UAV drones used in the military are much larger, even being as large as a small aircraft. Many of these UAVs are autonomous, and do not require a pilot to use a radio controller on the ground. They only require some pre-programming, in order to complete their missions. They’ll take off, fly their mission, then return back home again, all on their own. Flying times are much longer than toy drones, due to the longer distances that they need to fly. They usually contain aircraft fuel, rather than being rechargeable, like toy drones are powered. You’ll be surprised to learn that the history of UAV drones can be traced back to the mid-1800s. The first balloon drones were made by Austria, and were used to bomb Venice. In the early 1900s, UAV drones much like the ones we see in use today, were developed for target practice for the military. In 1916, the inventor A.M. Lowe worked on an unmanned UAV, but it wasn’t until after World War I that any were worth flying. The Hewitt-Sperry automatic airplane was made to carry explosives to its destination. However, these flying drones remained in the testing stages, as the Navy wasn’t confident of their design. The Hewitt-Sperry creation was the precursor to the cruise missiles used today. Sperry continued to focus on the radio controller, as this was the last roadblock to a practical UAV. In 1922 several successful test flights were conducted for the Navy. Interest seemed to wane on the project after that, and it was shelved in 1925. It was more than a decade later before the Navy started seriously developing UAVs. In WWII Nazi Germany commonly used UAVs, particularly in their attack on Britain. The first scale model RPV – Remote Piloted Vehicle was designed by Reginald Denny in 1935. He was a film star and model airplane enthusiast. These were eventually developed for use in WWII, for training and in missions, even though they also became a popular toy choice as well. In 1959, the US Air Force started experiencing concerns about losing pilots during combat. “Red Wagon” was the code name for developing UAVs and these were used during the Vietnam War. The USA gave no comment on their usage until 1973. It was admitted that the UAVs had flown in over 3,435 missions, significantly cutting back on the loss of life. In 1973 Russia sent UAVs to Egypt and Syria during the Yom Kippur War, causing Israel to develop surveillance UAVs. Israel won the 1982 Lebanon War with UAVs, and no loss of pilots. Throughout the 1980s and 90s, UAVs continued to be developed by the US military. UAVs may have come to the notice of the general public during their use in the Gulf War in 1991. It’s estimated that the USA currently has an arsenal of over 8000 UAVs. Over 50 other countries in the world utilize UAVs, with China, Iran, and Israel manufacturing their own. Besides flying UAV drones as an exciting past time, they have many other applications as well. 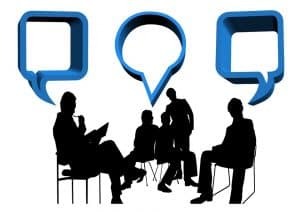 Companies and businesses can utilize them for a variety of purposes. The military can use them for surveillance and missions, and government agencies can use them for spying. The ability to add photography and video cameras makes them perfect for viewing and recording snapshots and live action. Many film companies have utilized UAV drones to film beautiful panoramic scenes for their films, or television shows. Stunning acrobatic footage can also be taken, which is perfect for aircraft chases in film. This type of footage would never have been possible with conventional motion picture or video cameras. Flying drone cameras also offer a more stable picture, whereas filming from a real helicopter can provide for some shaky footage. UAVs are also the perfect tool for real estate agents who are selling estates, farms, or other land with vast acreages. The drone can be sent around the property to film the land and buildings. This give buyers a better idea of what they’re purchasing, rather than having to spend hours walking around the area. Using UAVs is becoming a useful tool for journalists to record news. They’ve had recent applications where they’ve covered disasters. Drones can be sent into regions that have been torn apart by tornadoes or typhoons, or wherever it’s unsafe for film crews to travel. Many people don’t realize the usefulness of drones in the US. They’ve been used for many search and rescue missions where a party has gotten lost in the woods, or on a mountain. It can be difficult for a person on a helicopter to see a stranded individual from above. Flying drones are light and compact, and able to fly into smaller areas that a helicopter or plane would never reach. 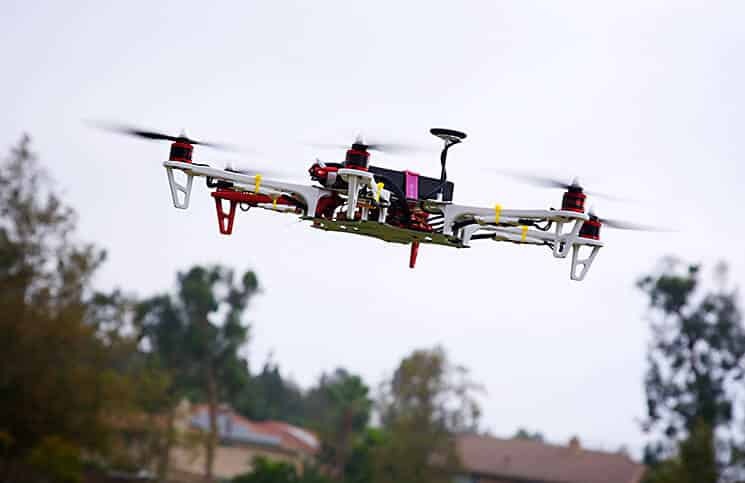 Search and rescue personnel can operate the plane from a safe distance, and only need to coordinate a rescue after the lost person has been found by the flying drone’s camera. Illegal hunting can be an issue in some nature reserves. UAVs can be used in the conservation of wildlife. Flying drones allow the park rangers to check out the surrounding areas, and find illegal hunters. They can cover a wider range of distance from a UAV, rather than having to walk on foot or drive in by vehicle. They can also be used to do a wildlife count. The further usage of flying drones in parks and forests can also be applicable to monitoring the spread of forest fires. The smoke from forest fires can be hazardous to crew. A flying drone can provide a more accurate mapping of the region of the fire, so that fire crew can plan their course of attack. The military in many countries uses UAV drones for surveillance, and combat. They can also be used for reconnaissance operations when it’s not safe to send in a truck of men. They can be used to deliver humanitarian aid, food, and first aid supplies to war torn regions, when it’s not safe for crew to truck in supplies. UAVs may be used to patrol nation’s borders for smugglers, illegal immigrants, to find fugitives, and to prevent attacks. A flying drone can cover more distance than driving, or flying a helicopter. UAVs also have applications for the police to use. They can be used in crowd control, for demonstrations or protests. They’re also handy for monitoring large city festivals or music festivals where crowds can exceed 10,000 people. UAVs may be used to hunt down fugitives at night. When equipped with infrared technology, their cameras can see into the dark, and find people hiding in bushes or wooded areas. They are used for car chases as a safer alternative to the police risking their lives on busy thoroughfares. UAVs are used in Japan to enforce land right claims on currently unmanned islands. They were also sent in to view the Fukushima nuclear plant disaster, preventing personnel from being exposed to radiation. Many countries use flying drones for archeological surveys, including in Peru. Time can be of the essence when rescuing ancient items from the ground, as squatters, miners, and builders are ready to move with little notice. Researchers can quickly produce land survey maps and have them registered in days, preventing others from moving in. In Venezuela UAVs are commonly used to survey and monitor rural infrastructure. Pipelines, dams, and buildings can be checked by their own manufactured UAV. The military utilizes a variety of different UAVs for their rescue, surveillance, and combat operations. Over 50 countries in the world today use at least one form of a UAV for their military operations. The United States air force currently has the General Atomics MQ-9 Reaper in service. This UAV can be remote controlled or run autonomously. It’s a hunter-killer, used to track down targets for destruction. The Tadiran Mastiff has been used in Israel since 1973. It has several impressive technological components, including a data-link system, endurance loitering, and live video streaming. Another flying drone made by Israel is the IAI Heron. It’s made in a matte black finish, and looks similar to a real aircraft. It was originally developed in 1994, and is currently being used by the Israeli Defense Forces, Indian Air Force, Brazilian Federal Police, and Turkish Air Force. Each one costs around $10 million, being within the reach of most national budgets. The Northrop Grumman MQ-8 Fire Scout is used by the United States Armed Forces for intelligence, surveillance, and reconnaissance. There are three different models: RQ-8A, MQ-8B, and the MQ-8C. These are designed to fit on aircraft carriers. In Austria, the Schiebel Camcopter S-100 is equipped with missiles. This UAV is sold to the UAE Army, the Russian Border and Coast Guard, the German Navy, and the Chinese Navy. Mexico developed the Hydra Technologies Ehécatl, to minimize life in dangerous zones. Its first flight was in 2006, and it is used mainly by the Mexican Secretariat of Public Security. It can run at a velocity of 90 knots, and rise up to 15,000 feet in the air. It was also designed to fly at higher altitudes than other UAVs in its class. They also follow the design of a traditional aircraft. There are many different types of UAVs that are developed for a variety of commercial drone use. 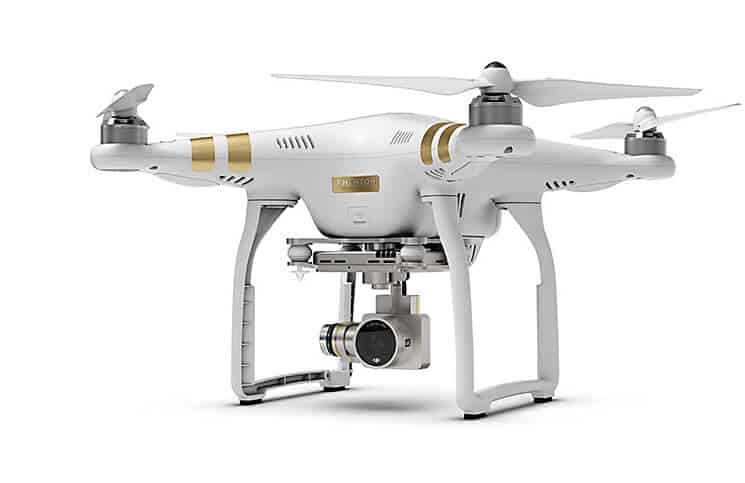 The DJI Phantom UAV is a high end model used in professional commercial aerial photography. Phantom is a Chinese company located in Shenzhen, China. It’s are a type of quadcopter specifically designed for aerial cinematography and photography, rather than generally as a toy. Film companies and real estate agents commonly purchase UAVs for commercial purposes, though flying drone hobbyists also enjoy them as well. Amazon is developing their own Amazon Prime Air UAV, but they’re currently not saying what the final model will be. These UAVs will be completely autonomous, flying from factory directly to your home. They’ll drop the package off at your door, then return back to the factory again for the next one in line. In 2013, DHL tested a small version of package delivery drone, called the MD4-1000. This drone was to be used specifically for the delivery of medicine. The Civil Drone FOX-C8-HD AltiGator flying drone is used in architecture and civil engineering. It has a black finish and has a flying quadcopter style. These are used to survey the site before building starts, and can provide a good basis for architectural diagrams. They can also be used to check on the process of a building site, particularly when it’s a larger or taller building, and it’s not practical for inspectors to travel around it. Just like computers and the internet, UAVs were also originally developed by the military. Most countries today utilize flying drones in their military programs, as it cuts back on loss of life, even though many drones may be lost in the process. UAVs are used for more than combat purposes, they can also be used to find people, and get them aid in emergency situations. UAVs are increasingly being used for commercial purposes, and each day we’re surprised at the new purposes they are used for. With this new technology comes some fantastic UAV flying drone toys to enjoy as well.